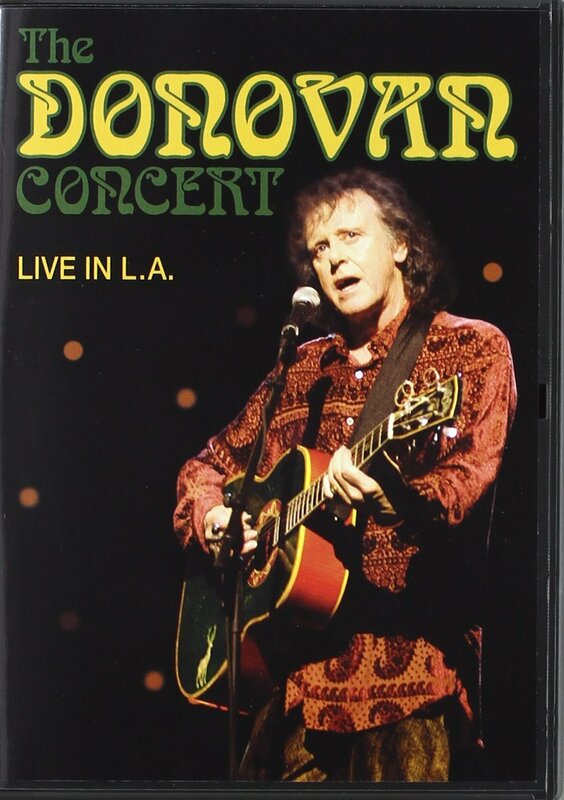 Exposé Online » Reviews » Donovan - The Donovan Concert: Live in L.A.
Donovan — The Donovan Concert: Live in L.A.
60s folk icon Donovan appeared at the Kodak Theater in LA on his 2007 tour to a packed house of acolytes from the Transcendental Meditation foundation (led by filmmaker David Lynch). From the get-go, the 60+ year old troubadour is a little rusty with his delivery but he consistently makes it for it with his charm, backed by minimal accompaniment. Pop music favorites such as “There Is a Mountain,” “Catch the Wind” and “Universal Soldier” are sung with a seasoned voice that still has that small quaver he was known for in the day. He is an expert storyteller as well, transporting the audience back to India for his initial meeting with the Maharishi Mahesh Yogi with the Beatles and Mike Love of the Beach Boys for a crowd participation song, “Happiness Runs.” Donovan’s daughter Estrella joins him to sing “Dream” before he dives into more singles gold with a catchy rendition of “Sunshine Superman.” The odd piece in the set list has to be “Young Girl Blues,” where the upright bass accompanist even gets a little solo spot. The composer also provides the missing verse (written by George Harrison) for “Hurdy Gurdy Man” while they were still at the ashram together. Mike Love even comes out for crowd pleasing encore, “Mellow Yellow,” that goes over well with the audience. Although many of the younger crowd certainly had not heard of the singer’s work previously, it was clear that the old timers were eating it up.